Air Changes per Hour (abbreviated as ACH) is a measure of how many times the air within any given space is replaced in an hour at an indoor-outdoor air pressure of 50 pascals. An ACH of 0.5 would indicate that half of the air within a house is changed every hour, whereas an ACH of 1.0 would indicate that once per hour the total volume of air within a home is exchanged. In other words, ACH is a measure of the overall “tightness” of a building, and is indicative of build quality, energy efficiency, and leakiness, with a lower number of air changes per hour being far preferable. Above: The formula for calculating Air Changes per Hour. Barrier Sciences Group can use a blower door test to accurately measure a building’s Air Changes per Hour – this test depressurizes a home to locate leakage points within the building and electronically measure the leakage rate. More information on the BSG blower door test process can be found here, or by watching our explainer video. There have been a number of changes to building code in recent years that affect the average ACH of homes being built, and upcoming changes that will make air tightness tests mandatory in Ontario. When it comes to new home builds, the best way to measure ACH is with a pre-drywall blower door test. More information on the process behind a pre-drywall blower door test, or the upcoming mandatory energy labeling that will require knowledge of every newly-built home’s ACH score, can be found here. 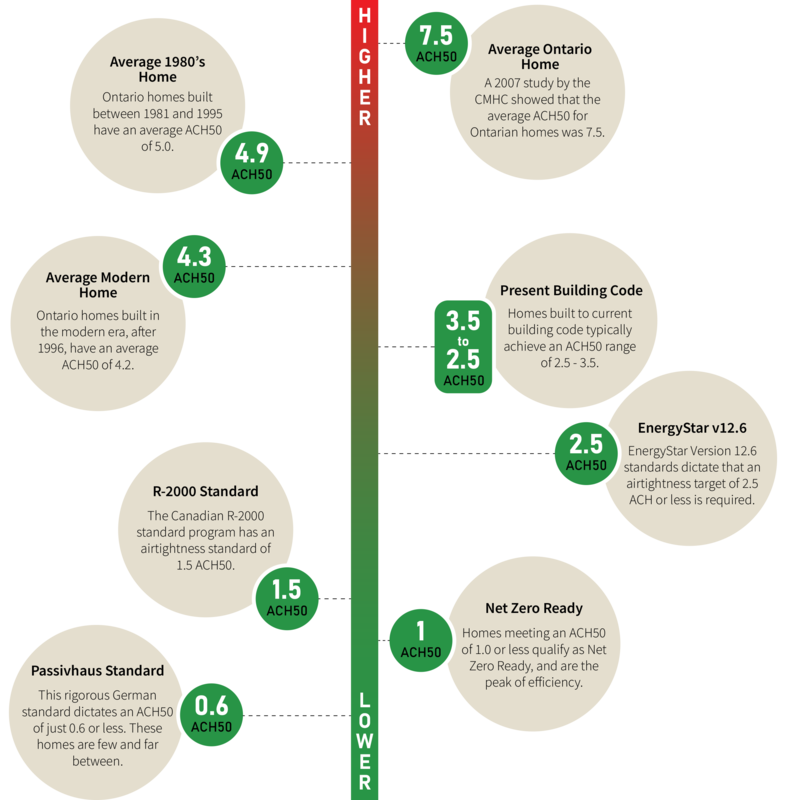 Ontario homes built to present building code typically achieve an ACH of anywhere between 2.5 – 3.5. Although this may be far improved from the average 4.9ACH scored by homes built between 1981 and 1995, it’s still not enough to qualify as either an EnergyStar v12.6 home (which requires a 2.5ACH or below), or for the R-2000 standard (which requires 1.5 or lower). Furthermore, the Net Zero Ready program is gaining traction in the Canadian market as a peak efficiency and environmentally-friendly home, but the majority of homes built today are missing its required 1.0 or lower ACH by a large margin. Familiarizing yourself with the blower door test process and ACH score is one of the best ways to prove the homes you’re building are of high quality when it comes to airtightness and energy performance, but it’s not something you have to do alone – Barrier Sciences Group are experts when it comes to improving your ACH scores. 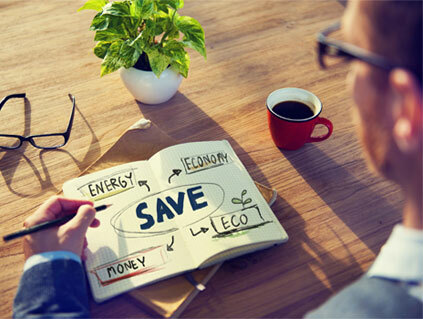 Contact us today to ease the transition to mandatory energy labeling and be proactive in your home builds.